Share the love of Jesus, through the power of a simple gift, with children around the world. 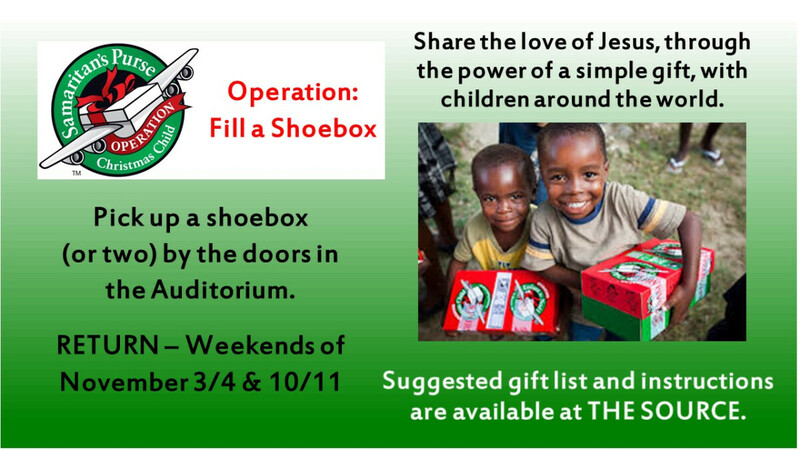 Pick up a shoebox (or two) by the doors in the Auditorium. RETURN - Weekends of November 3/4 & 10/11.